In this post we wanted to bring you the latest and most important news in the field of solar and wind energy. In the first part we will talk about two different projects that give us different records: the largest solar plants to date. The first novelty is what has taken place in Morocco where it has opened the world's largest concentrated solar power plant. It has specifically been in Ouarzazate. For those who do not know it, it is a city well known for being habitual enclave of Hollywood films; blockbusters of the film industry as "Lawrence of Arabia" and "Gladiator". But how much energy supplies which is so far the world's largest solar power plant? What we can even imagine? For this plant would produce enough power for a million homes. Reducing the carbon would be approximately 760,000 tons. To the year! This is at least what has affirmed the financial group Climate Investmen Funds (CIF). Among the new features of these solar panels and the floor is a fail salt to store energy both at night and on cloudy days. It is more expensive than traditional solar panel installation. It has certain differences with it. The plant, which has been dubbed "The complex Noor", works with mirrors that focus to get sun and heat a liquid. This, once mixed with water, reaches about 400 degrees Celsius. The resulting steam drives a turbine generating electricity. What is the role of salt in the process? The facility has a cylinder of salt melts from the heat of the mirrors but stays warm enough overnight to provide up to three hours getting power. But this is not the only news that we bring about large photovoltaic plants in the world as there are two projects that will place the world's largest solar plants in Latin America, particularly in Chile which is building two plants. The first is called Heaven of Tarapaca. It is a drop of 600 MW-AC plant. It is located in Pintados, in the region of Tarapaca and has an area of ​​1,650 hectares. The plant would complement the existing "Mirror Tarapá". United, would be in 2019 the first large-scale solar system in the world. That is, our own solar system on earth that produces energy 24 hours 365 days a year. All this, if it helps any of thermoelectric plants. 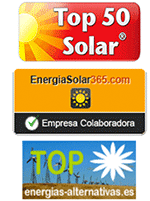 The second project to which we referred was called "Solar Copiapo". 2,000 million dollars for a project to start operation in 2019 also. Another great news leads us to El Hierro has broken record to have supplied with 100% renewable energy for more than 24 hours. It has been possible thanks to the generation of wind Gorona the hydro-wind power plant. As reported by the Cabildo de El Hierro itself, it has been avoided with this record the emission into the atmosphere of more than 120 tons of CO2. As important fact you need to know that every day that passes without a diesel engine generation starting time saving is achieved in El Hierro 1.5 tons of fossil fuel. This implies an environmental benefit as it saved an emission of 3.4 tons of CO2 every hour. And large projects and records, we go to other no less important. London has already begun to implement solar energy in the bus stops. Ie stops solar buses that put also operate cartels information on all useful transportation information: schedules, forecast bus arrival ... Really this is the great novelty of this design because it does not use monitors but posters ink electronic, like that used in an ebook. Energy expenditure is minimal in what is known as "green design". A car that increasingly cities are targeting. One of the most popular bets is being put solar panels on every lamp that illuminates the city. But that certainly you have seen.